Elizabeth Warren is the granddaughter of Hannie Crawford, daughter of John H. Crawford. Warren says the Crawfords were Cherokee. 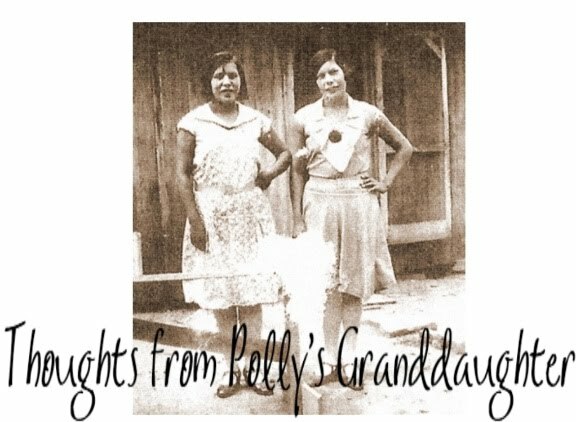 "Rosco Crawford, Hannie Crawford’s brother, told (his granddaughter) that as a young boy living in the Creek Nation of Indian Territory, the Indians were “pretty mean.” Once, when a Creek was hitting Crawford’s younger brother, their father shot and wounded the Indian, according to her biography, on file at California State University at Fullerton." The story Hannie's brother, Rosco, told his granddaughter is true. 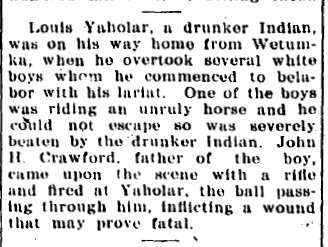 Muskogee Times Democrat; Muskogee, Oklahoma; August 13, 1906, p.1. 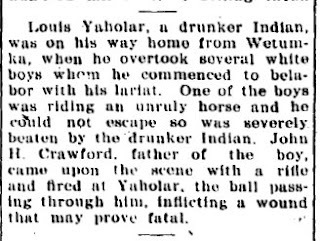 Muskogee Times Democrat; Muskogee, Oklahoma; August 17, 1906; p.4. Why is this significant? 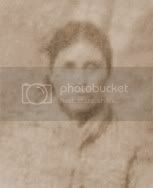 Because it refers to John H. Crawford, Elizabeth Warren's great grandfather who was allegedly Cherokee, as a white man.